An outstanding event is being planned at the College for May 17. 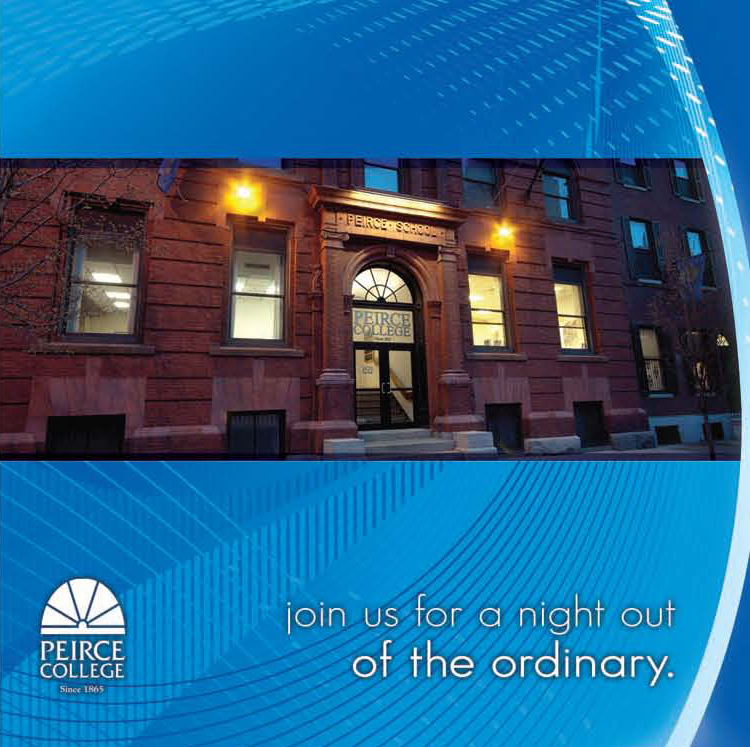 That evening, representatives of the entire Peirce Community (students, alumni, faculty, staff, board members, partners, and friends) will gather on Carlisle Street for a spring reception. The centerpiece will be a presentation of the College’s newly developed multi-year strategic agenda. The program will also provide ample opportunities for socializing and networking, punctuated by excellent food and beverages. This will be the first time we have gotten the entire community together in several years, so we have chosen to mix in a little tradition, with the use of tents on Carlisle Street. Until 1998, the College’s annual commencement ceremony was followed by a block party for graduates, their guests, faculty, and staff under a tent on Carlisle. Using tents for the reception will serve to symbolically remind us of the College’s historical, 145-year-old mission and strong legacy as we embark upon a new era. It’s always exciting to bring folks to campus that have either never visited Peirce or haven’t done so in some time. Consistently, they marvel at the outstanding quality of students, faculty, and staff that represent today’s Peirce. They are also typically impressed with our newly renovated, state-of-the-art facilities. That will definitely be the case with many attendees on May 17. 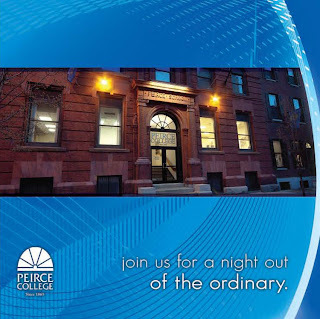 Similar to the alumni open house we held in November 2009, one of the highlights of these gatherings is hearing the fondness for Peirce held by so many. Very often, when Peirce students and alumni interact, they refer to personal or professional transformations that occurred as a result of their Peirce experience. Frequently, they exchange stories about faculty and staff members that went the extra mile and played a key role in their success. It is always pleasant to hear them pay tribute to their time at Peirce as being some of the most rewarding of their lives. A primary goal for the new era is to have a bonded, broad-based community to propel the institution to new heights in the coming years. Events like this, which bring together all the stakeholders, serve as the foundation of that vision. Informing the attendees about the College’s future direction and the roles of each constituency in fulfilling the mission should further engage them, and prompt more participation and enthusiasm for the College’s success -- a goal that serves students, alumni, faculty, and staff. The networking and social aspects of the event provide them with the opportunity to advance their own agendas, while creating a stronger Peirce identity and sense of pride.